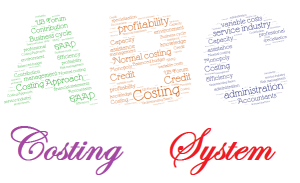 Warning Signs That Suggest That ABC could help a Firm:..
Firms need to be vigilant when there are two or more cost pools as when these cost pools share common costs then the allocation of costs needs to be exact to determine the true cost of a product or cost object. When most or all of the costs are identified as output unit-level costs as some indirect costs contribute to different levels like batch-level, product sustaining or facility sustaining. When the products have different requirement in volume, processes, batch sizes or complexity then ABC costing system should be adopted to get a more accurate picture of the costs. When there is an opportunity for business to grow with a product which is well-suited for the firm and provides an opportunity for making profits. But the firm is also producing other products which are not raising much revenue and creating a burden on the firm. When the operational staff has disagreement over the costs of marketing and manufacturing allocation and it is making their department to take burden of those products which are not generating much profit, then for the satisfaction and motivation of the staff they need to be made assured that the cost allocation is being managed properly.